PARR, JOHN, army officer and colonial administrator; b. 20 Dec. 1725 in Dublin (Republic of Ireland), son of John Parr and Eleanor Clements; m. 1761 Sara Walmesley, and they had three sons and two daughters; d. 25 Nov. 1791 in Halifax, Nova Scotia. Nothing is known of John Parr’s early years, but in April 1745 he joined the British army as an ensign in the 20th Foot. After his baptism of fire at Fontenoy (Belgium) the same year Parr accompanied his regiment to Scotland to help suppress the Jacobite rebellion and was wounded at Culloden. 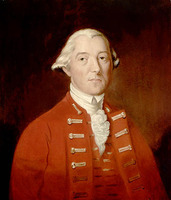 When James Wolfe* became acting lieutenant-colonel of the 20th in 1749 Parr may have become his adjutant; in any event, he had an acquaintanceship with Wolfe which later secured him ministerial patronage. Promoted captain in 1756, Parr fought in several engagements during the Seven Years’ War, including the bloody battle of Minden (Federal Republic of Germany) in 1759, during which he was severely wounded. 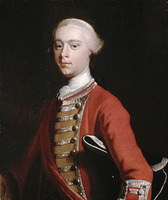 After promotion to major in 1763 and six years of garrison duty at Gibraltar, Parr advanced by purchase to the rank of lieutenant-colonel of the 20th in 1770. Six years later he resigned from the army just before his regiment embarked for Quebec as part of the ill-fated Burgoyne expedition. 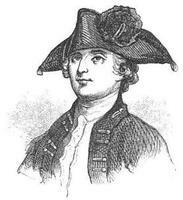 In 1778 he exploited his government connections to secure the comfortable sinecure of major of the Tower of London. In July 1782, through the influence of his patron the Earl of Shelburne, secretary of state for the Home Department, Parr was appointed governor of Nova Scotia, succeeding Francis Legge. Instead of quiet retirement, however, he was at once confronted with the urgent and immense task of succouring and settling some 35,000 loyalists who flooded into Nova Scotia at the end of the American revolution. With the colony’s population more than doubled overnight, impossible strains were placed on Nova Scotia’s rudimentary administrative machinery as well as on stores and provisions. In the winter of 1782–83 ten thousand refugees arrived helpless and destitute at Halifax, and as makeshift accommodation warehouses, sheds, and churches had to be commandeered, ships detained in port, and improvised shelters erected in open places. After the initial emergency, Parr had to locate the clamorous loyalists and disbanded soldiers on grants of land throughout the province. Aided by Surveyor General Charles Morris* Jr and an overworked team of surveyors and army engineers, Parr encouraged the newcomers to settle in unoccupied areas of Nova Scotia. These included the region of Port Roseway, which Parr renamed Shelburne in honour of his patron, the Annapolis valley, the mouth of the Saint John River, and the shores of Passamaquoddy Bay. Discontent and squabbles soon arose. The method of granting land was chaotic and inefficient, with complicated procedures, delays in surveys, a mass of previous titles, and a superabundance of barren terrain. Many ambitious applicants such as the Fifty-Five Associated Loyalists [see Abijah Willard] sought to palliate their sufferings by applying for vast tracts of land, but Parr resisted this kind of selfish importunity. The processing of some 6,220 land claims for grants up to 1,000 acres occupied the Nova Scotian authorities for several years. 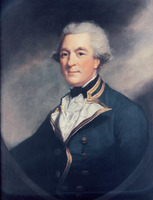 Although the loyalist migration initially brought Parr unsought responsibilities, the scope of his administration was soon materially reduced. To satisfy the aspirations of settlers on the Saint John, the province of New Brunswick was carved out of Nova Scotia in 1784 and placed under the governorship of Thomas Carleton*. 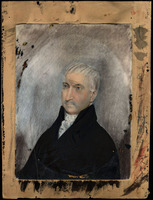 The same year Cape Breton was given a separate government under Joseph Frederick Wallet DesBarres*, although it remained under Parr’s supervision. 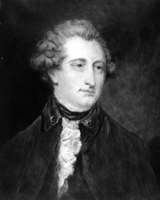 Two years later, Parr was reduced in rank to lieutenant governor with the appointment of Lord Dorchester [Guy Carleton*] as governor general of British North America. These changes greatly angered him, although his army acquaintance with the Carleton brothers somewhat assuaged his injured feelings. Similarly, the imperial authorities’ decision to create a bishopric of Nova Scotia in 1787 obliged Parr to surrender some of the powers he had hitherto exercised over the Church of England on behalf of the crown. 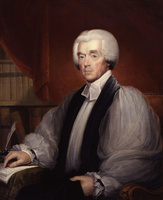 Nevertheless, he retained sufficient authority over appointments to church livings, the stationing of missionaries, and the issue of marriage licences to provoke occasional clashes with Bishop Charles Inglis*. 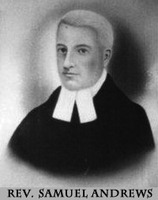 Although Parr’s protracted controversy with rival vestries at Shelburne over the erection of parishes and the choice of ministers was settled in 1787, he quarrelled with Inglis the next year over the presentation of a rector to St Paul’s Church, Halifax. This dispute was not resolved until 1791. Meanwhile, many of the new settlements had begun to decline in population as loyalists moved to more promising parts of North America. The most dramatic transformation occurred at Shelburne, where a township of 8,000 persons in 1784 dwindled within a few years to a mere handful. The year 1792 saw the departure from the province of 1,190 of the 3,000 black loyalists. 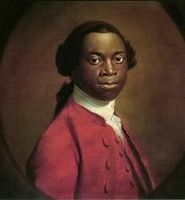 Accorded a low priority in the settlement of land claims, enterprising blacks responded eagerly to the mission of John Clarkson, sent by the Sierra Leone Company in 1791 to recruit settlers for its colony in West Africa. Parr was uncooperative over recruitment, fearing that such an exodus would be interpreted in London as indicative of discontent with his administration. The lieutenant governor had reason to be apprehensive, since in recent years he had come under attack for his attitudes and policies towards black settlement in Nova Scotia. 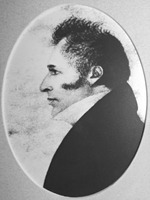 Thomas Peters, one of the black leaders, had criticized Parr and his officials for discriminatory practices and long delays in establishing black loyalists in the province, and Clarkson voiced similar complaints when he arrived. The British government ordered an investigation into the charges, but Parr had died by the time the investigators submitted their report exonerating him. 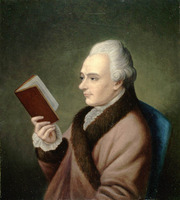 Parr was particularly sensitive about his superiors’ views since he had been censured in 1786 for attempting to establish a whaling industry at Dartmouth. The lieutenant governor had welcomed as settlers Nantucket Quakers, whose fortunes were threatened by the exclusion of American whale oil from the British market following the war, and prospects for a thriving fishery had seemed bright. 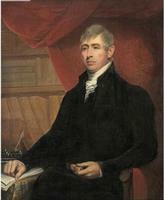 The British government decided, however, that Parr’s initiative would favour American citizens with pecuniary aid intended for loyalists, foster a colonial competitor to British producers, and facilitate the illicit entry of American oil into Britain in the guise of a colonial product. 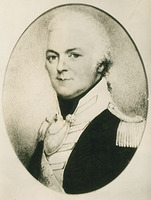 Although Parr was disappointed at the rebuff, he supported the wider imperial policy of maintaining the navigation acts in the vain hope that Nova Scotians might supplant New Englanders as carriers and suppliers of provisions to the West Indies. 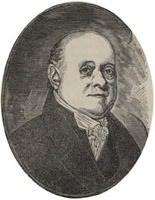 Towards the end of his administration Parr became disagreeably involved in the unseemly squabbling between loyalists and established settlers which affected all aspects of Nova Scotian life. After electoral victories in 1785, the loyalists used their new majority in the assembly to attack entrenched officials and councillors, and the partisan jockeying for office and influence often acquired constitutional overtones, as in the so-called “judges’ affair.” In 1787 two aspiring lawyers, Jonathan Sterns and William Taylor, accused puisne judges James Brenton* and Isaac Deschamps* of incompetence and partiality in the administration of justice. The assembly demanded an investigation, but the Council dismissed the complaints as “Groundless and Scandalous” and Parr unhesitatingly repudiated the charges. Though a lonely, isolated figure rather than a willing partisan, Parr’s whole training and outlook, as well as a sensitive regard for his own authority and dignity, predisposed him to support the Council and the officials when they came under attack. He viewed the two lawyers as self-seeking attorneys, “strongly tinctured with a Republican spirit,” whose sole object was to replace the judges with their own loyalist cronies. In a typical outburst to Evan Nepean, undersecretary of state for the Home Department, Parr declared, “I am surrounded with a number of Fanatical, diabolical, unprincipled, expecting, disapointed, deceitful, lying Scoundrels, who exist upon Party of their own creating, eternaly finding fault with, and complaining against their Superiours in Office.” While loyalist assemblymen turned their wrath against the Council for refusing to hold an investigation, the two lawyers, who had been unceremoniously struck from the roll of attorneys for their behaviour, travelled to London to plead their case. But despite a long sojourn in England they received no satisfaction and were in fact required to make abject apologies before they were readmitted to the provincial bar. 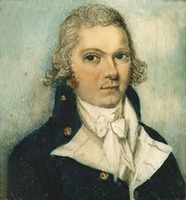 After their return, the affair flared up again in 1790 as the reinvigorated assembly under the leadership of Thomas Barclay* debated whether to impeach the judges. The controversy dragged on inconclusively until Parr’s death, when the appointment of loyalist John Wentworth* as lieutenant governor transformed the troubled scene. Parr’s governorship coincided with a period of profound upheaval and dislocation which would have taxed the talents and energies of any administrator: a lesser man would have been dilatory and incompetent; an abler man might have shown more dexterity and resourcefulness. Being dour, brusque, and inured to deprivation in army life, he did not display the degree of solicitous sympathy the loyalists felt they deserved, although much of their criticism of Parr reflected despondency, frustration, and anger at straitened circumstances. A short man with sharp features and a brisk, strutting gait, he was a stickler for formalities and had the tetchy stubbornness of an independent but narrow mind long accustomed to military discipline. He also lacked the accommodating manners and social graces which might have made him a more popular governor of the colony to which he found himself somewhat uncongenially exiled. PRO, CO 217/56–63, 218/9, 218/20, 218/25–27. N.S., House of Assembly, Journal, 1782–91. PAC Report, 1921, app.C, 37–40; app.E, 1–12. Le Jeune, Dictionnaire, II, 410–11. Judith Fingard, The Anglican design in loyalist Nova Scotia, 1783–1816 (London, 1972), 173–80. V. T. Harlow, The founding of the second British empire, 1763–1793 (2v., London and New York, 1964), II, 295–97. MacNutt, Atlantic provinces. R. W. Winks, The blacks in Canada: a history (London and New Haven, Conn., 1971), 67–73. Margaret Ells, “Settling the loyalists in Nova Scotia,” CHA Report, 1934, 105–9. J. S. Macdonald, “Memoir of Governor John Parr,” N.S. Hist. Soc., Coll., XIV (1909), 41–78. Peter Burroughs, “PARR, JOHN,” in Dictionary of Canadian Biography, vol. 4, University of Toronto/Université Laval, 2003–, accessed April 24, 2019, http://www.biographi.ca/en/bio/parr_john_4E.html.